visit two million flowers in order to produce one pound of honey. The nectar is brought into the colony and stored in the comb to ripen. We harvest this ripened gold, cut away the wax capping, and carefully spin the honeycomb to remove the honey from the cells by centrifugal force. Care is taken to keep as much of the honeycomb intact as possible. Wax production requires a great deal of work for the bees and they must consume eight pounds of honey to create one pound of wax. We simply strain our extracted honey to remove the wax bits, and bottle it, as wholesome and as pure as the bees have made it. We cannot improve upon it. Harvest 2007 showing the difference in floral nectar sources, gathered at different times of the year. Shown above, from left:: September harvest, July harvest, April harvest. 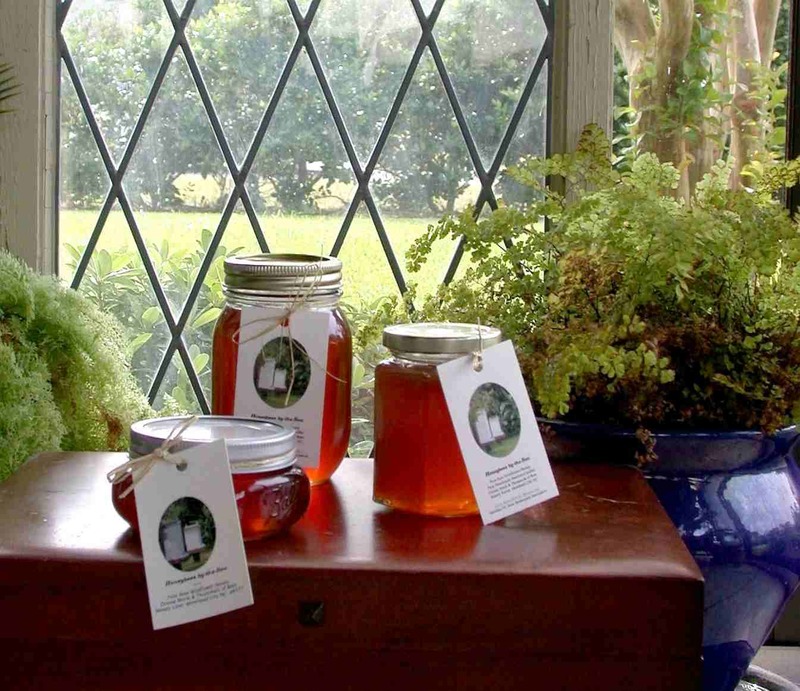 The April honey, seen at right is the 2007 NC State Fair Third Place Ribbon winner in the Senior Honey Competition, Extracted Honey Light! Some commercial honey producers heat their product in an effort to delay the natural crystallization that can occur. We do not. 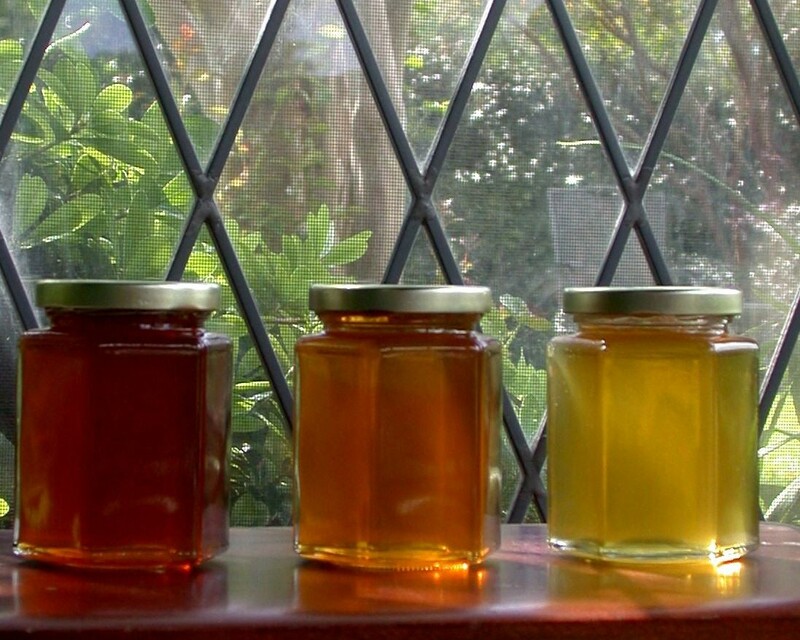 Should your honey crystallize, placing the container in a warm water bath will liquefy the honey again. Do not store your honey in the refrigerator. This will cause all honey to crystallize. when the bees say it is ready. 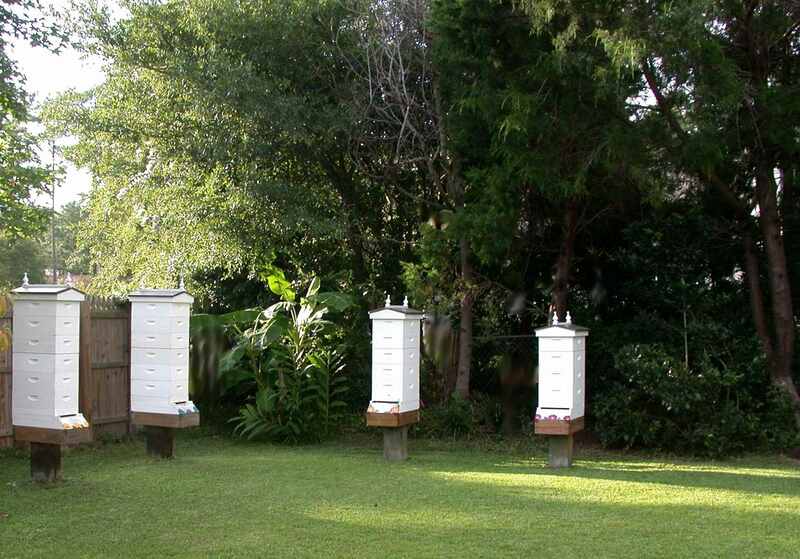 The amount of honey and the time of harvest are up to Mother Nature and the Honey bees. For a honey bee there is no such thing as too much honey. We agree. 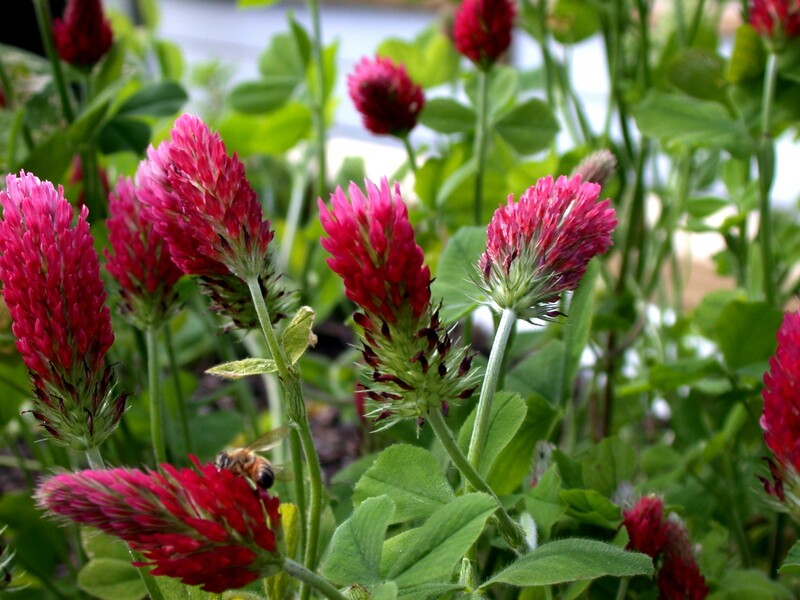 We, and our bees, hope you love it as much as we do.